It might seem like a lot of cash for one supersize clunker, a good-money-after-bad attempt to jump-start a broken-down giant of Detroit. But as the Obama administration contemplates a third rescue of GMAC, the onetime finance arm of General Motors, federal officials, automotive executives and analysts all say the company is — just like the biggest Wall Street firms — too big to fail. Despite two taxpayer-financed bailouts, GMAC is still struggling, even as its two biggest customers, General Motors and Chrysler, have put bankruptcy behind them. While the collapse of GMAC probably would not send shock waves through the financial system the way the failure of a giant bank would, it would nonetheless deal a devastating blow to the auto industry, its suppliers and employees. GMAC, which lends money to buyers of G.M. and Chrysler vehicles, is racing to shore up its finances before a crucial Nov. 9 deadline, when federal regulators will evaluate its financial health. In a prelude to what is likely to be another direct government rescue, GMAC borrowed $2.9 billion in the bond market on Wednesday with the backing of the Federal Deposit Insurance Corporation. But that money probably will not be enough to plug all the holes at GMAC, whose disastrous foray into subprime mortgages pushed the company to the brink of bankruptcy. GMAC is seeking as much as $5.6 billion in taxpayer money, on top of the $12.5 billion it received in two previous installments along with the growth in its lending responsibilities. The government has already pumped more into GMAC than it did into Chrysler’s car business. If the third rescue goes through — the terms were still being negotiated — the government could wind up with a majority stake in GMAC. It currently owns 35 percent. Some analysts suggest other, more radical steps — like cleaving the company in two — might be needed to deal with GMAC’s problems, but no such plans appear imminent. No other financial company has gone cap in hand to the government three times. The two giants of the bailout era, Citigroup and Bank of America, were rescued twice, although they received many billions more than GMAC. Why rescue GMAC again? The federal government has committed more than $60 billion to prop up G.M. and Chrysler, and letting GMAC fail, the thinking goes, would threaten a recovery in the broader car industry. Administration officials insist GMAC is not a money pit. In fact, they say the company may need less than the $5.6 billion it is seeking, because the economy is not as bad as feared in earlier projections. GMAC, which was allowed to convert itself into a bank at the height of the financial crisis so it could receive bailout money, was in better shape than federal examiners expected when they subjected the company to a stress test last spring along with 18 other large financial institutions. But GMAC lies at the heart of the administration’s industrial policy. It provides the bulk of loans to G.M. and Chrysler dealers to buy new vehicles from the companies, and is also the source of loans to consumers buying new vehicles. Other lenders have been reluctant to provide auto loans because sales of new vehicles have plunged this year to their lowest point since the early 1980s. Automakers expect to sell about 10.5 million vehicles in the United States in 2009, well below the 16 million cars sold annually just a few years ago. Without more available credit, any recovery in the car market would be even slower — and its impact would ripple through the chain of dealers, plants and parts suppliers. GMAC is so interconnected with the industry that its failure would be devastating, according to many industry observers. As if the troubles in the car industry were not enough, GMAC is also contending with its ill-fated expansion into home loans. At the heart of its troubles is its mortgage unit, which lost $1.8 billion during the second quarter — the seventh consecutive quarter of losing more than $1 billion. Short term, the company will probably muddle along, with the government’s help, and hope the economy improves. 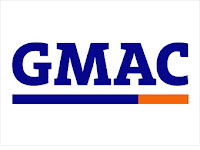 “We are focused on transforming the company and restoring financial health,” said Gina Proia, a GMAC spokeswoman.